You guys! If you’ve been around a while then you already know that I am a long time fan of RS Grey. I’ve been reading her books now for a few years, and when I finish one, I’m immediately ready for the next book to be released. Every time she mentions on Insta that she’s plotting a new book I get overly excited and squeal. Then I stalk her non stop until I know when the book releases. 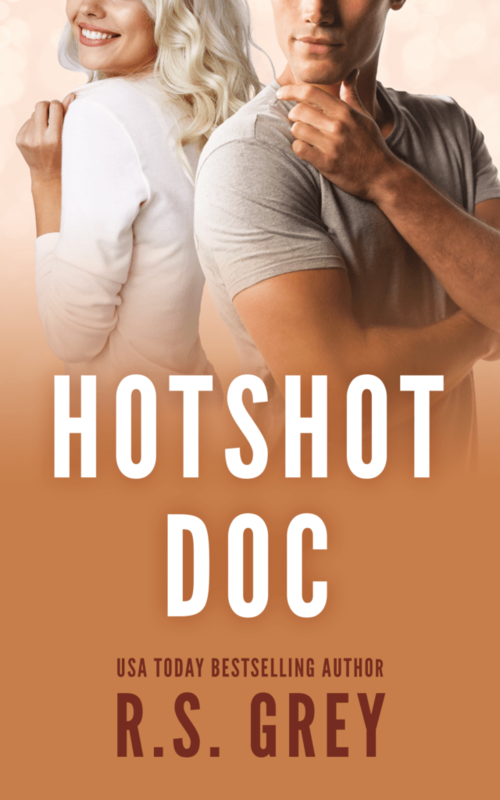 Things were no different with Hotshot Doc, especially when she teased us with the cover model before she had even released the cover. It was torturous. And once I had the book in my hands, I read it so quickly that once finished, I was kicking myself for not taking my time. And mourning the fact that now I have to wait again for the genius that is R.S. Grey. For some time now, I’ve touted the fact that The Beau and the Belle is my favorite book my R.S. Grey. Other’s have come close to stealing that title. I’ve loved everything she’s written since, but I really thought she had written her best work with that particular book. And then I read Hotshot Doc. And it negated all of my previous thinking. Because this book, right here, is truly her best work to date. I would stand and shot this from a mountain because I am just that in love with this story. 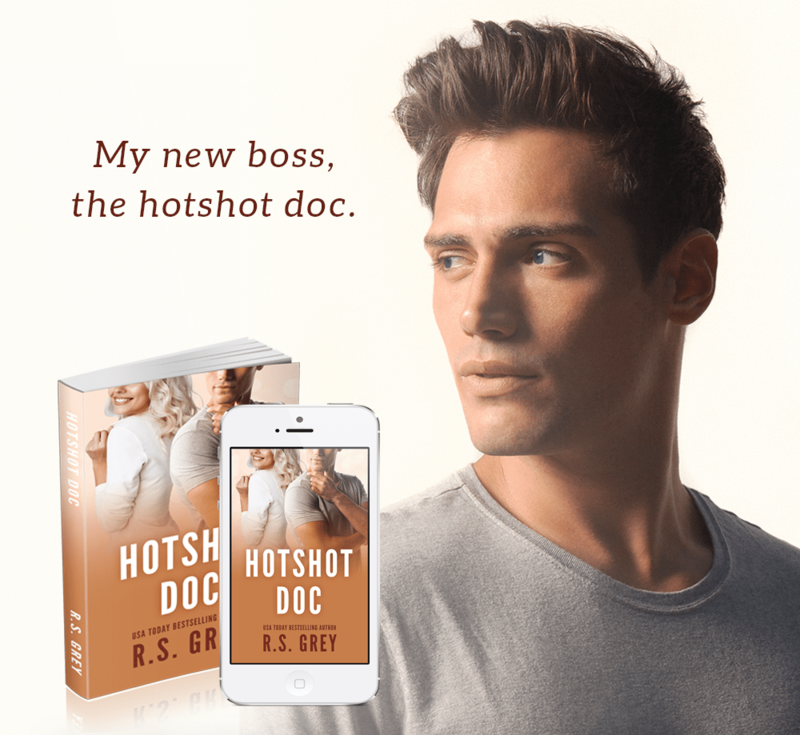 Hotshot Doc tells the story of Bailey and Matt. Bailey is a surgical assistant who ends up without much of a plan when the surgeon she’s worked for for years decides to retire. None of the other spinal surgeons need an assistant, except for Dr. Russell who is rude, and cranky, and unbelievably handsome. He’s the last person she wants to work with, but desperate times call for desperate measures and she soon finds herself sharing an operating table beside him. So, with that in mind, let’s talk about Bailey. I FREAKING LOVED THIS GIRL. She’s had a difficult life, and has given up so much of herself to take care of her younger sister after the sudden death of her parents. She’s had to grow up fast, and because of that, she’s an incredibly hard worker, and a bit of a social disaster. She hasn’t had a date in forever, and to be completely honest, isn’t really on the lookout for a relationship. But that doesn’t keep her from being overly sweet, caring, and the type of girl I’d love to be best friends with. And to top it all off, her awkwardness makes her completely endearing, and I was rooting for her happily ever after from the very first page. Dr. Russell, however, is another story. He’s frustrating, angry, and completely wrapped up in his job. He’s an amazing surgeon, who goes above and beyond for his patients, but his attitude in the operating room means he’s going through surgical assistants more than the average person changes their underwear. No one wants to work with him. But then he meets Bailey, and from the very beginning doesn’t put up with his crap, he can’t help but be a little intrigued. As Bailey burrows herself farther and farther into his live, with see a different side of Matt. A softer side, that I absolutely fell head over heels in love with. Once all those outside layers were peeled back, the man underneath was truly lovely, and I was completely enraptured by him. R.S. Grey really shows how strong her writing is in Hotshot Doc. This book flowed so smoothly, I didn’t even realize how quickly I was flying through the pages. There wasn’t a single place where I felt the story had hit a lull, and I enjoyed every single minute that I spent with these characters. The entire story from beginning to end was absolutely captivating. If you have yet to read a book by R.S. Grey (seriously what is wrong with you? ), Hotshot Doc is an excellent place to start!